I have worked in the mortgage industry in South Carolina for more than 20 years and I am known for my passion for excellence. With extensive experience and loan product knowledge, I approach the needs of each customer with a high degree of confidence and understanding and offer them valuable advice and several financing options quickly. I take great pride in providing a very high level of service to my clients through honest communication and integrity. I treat my clients like I want to be treated, with accurate information and timely responses. I will respect your questions and your schedule and offer you mortgage solutions that are personalized to your specific situation. Each and every client is very important to me, and my amount of referral business reflects that. Our clients may only think about home financing a few times during their life. We think about it every single day. It’s your home and your future. It’s our profession and our passion. My team looks forward to serving you and your real estate financing needs. Donna was very friendly and helpful to talk to. She also sent a follow up email summarizing the phone call and explaining the next steps. 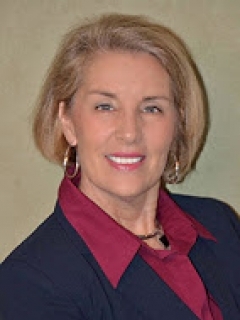 "Donna Thomas handled the mortgage end of the purchase of our new home at 114 Elevation Court in Greer, SC. Donna did an excellent job in managing all of the details of this transaction. We felt very comfortable and secure with her in charge of all the particulars of getting our mortgage approved, and the whole transaction was smooth and trouble-free. Thank you for having such a wonderful associate in your fine organization." "Donna Thomas and her team get 5 stars. No one will work harder for you. Due to circumstances beyond my control I had a 75 point credit rating drop four days before closing. Donna and her team pulled out all the stops to rework the loan and close at the scheduled time. There are not many who have the skills and would make the effort for that to happen. Many thanks !" Kenneth T.
Great! Donna has gone the extra mile on more than one occasion to get us the information we need. She is very professional and thorough and gets the job done. Thanks, Donna! THANK YOU DONNA! We very much appreciate your professionalism, thoroughness, and responsiveness throughout the entire mortgage financing process. Your support and guidance during the stressful events of selling & purchasing homes was invaluable and we will be sure to recommend your services to anyone needing a mortgage loan. Donna, Many thanks from Adrienne and I for your excellent professional and moral support during our home buying process. You were ever so patient even with my indecisiveness at the beginning and you managed to guide us into a position that enabled us to buy our first home. We are delighted with where we ended up and are so excited to have moved into our new home. I will certainly recommend you and Allen Tate Mortgage to any home buying friends. Cheers and All the Best!